Whether you're a seafood fan or an avid wine lover (or both, let's face it), there's a Spring OysterFest for that. 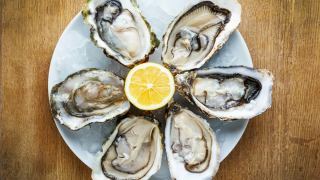 The fest, to be held in Madison, Virginia, will dish up a menu from Rappahannock Oyster Company featuring fresh oysters, crab cakes and stuff'n muffins, as well as a variety of the vineyard's Virginia wines. It's happening March 19 from noon to 5 p.m. at Early Mountain Vineyards (6109 Wolftown Hood Road, Madison, Virginia.). Admission for ages 21+ also includes an Early Mountain wine tasting and a stemless wine glass to keep. You're also welcome to bring picnic lunches to enjoy on the back lawn. Advance tickets are $15; vineyard wine club member tickets are $12, and tickets at the door are $20. Those under 21 get in for free. Find tickets online here.